WOW! Check out what this screener can do! 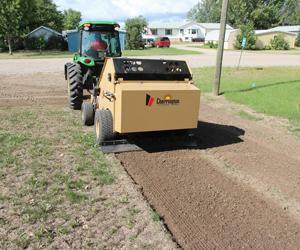 Cherrington Model 440 is amazingly versatile! Cherrington Beach Cleaners are uniquely able to safely and efficiently remove zebra shells from beach sand. Unlike common raking methods that, by their nature, leave behind small debris, Cherrington lifts and screens the sand to remove everything larger that the selected screen hole size and immediately returns the sand to the beach. 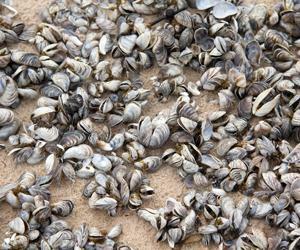 The average zebra mussel lives up to eight years and may produce up to 1 million offspring each year. As this population rages unchecked in the water; the shells pile up on the beach requiring frequent, perhaps daily, removal. Cherrington's efficient screen design is ideal for this type of job. 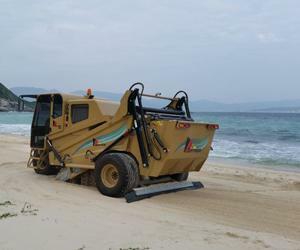 A Cherrington Model 5500 was installed in Sanya China on Yalong Bay. The 5500 will be used by the new Park Hyatt Sanya Sunny Bay Resort, which is scheduled to open at the end of 2014. The Model 5500 is an all-wheel drive beach cleaner that is unmatched for maneuverability, operator comfort, and ease of operational control. 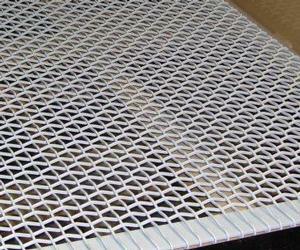 Cherrington Now Offers High-Speed Stainless Steel Screens for Longer Life and 20% Faster Sifting! Cherrington's compact, wireless remote control beach cleaner now has electric start on its Honda engine for even greater ease of operation! 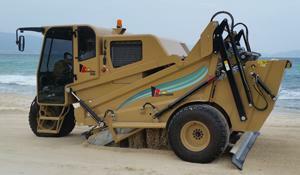 Beach cleaning in tight areas has never been easier! This remote controlled beach cleaner's three-wheel design allows for a zero-turn radius allowing you to maneuver around play equipment, between trees or seating areas, and along boardwalks. 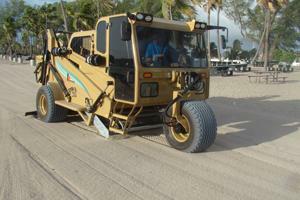 The World's Most Efficient Self-Propelled Beach Cleaner Just Got Even Better! The Cherrington Model 5000 has long been recognized for its efficiency, maneuverability, and dependability as the world's leading self-propelled beach cleaner. Cherrington's engineers took the features customers love about the Self-Propelled Model 5000 and combined them with the advanced screening system design proven in Cherrington's tractor model line, to bring you the Cherrington Model 5450. Cherrington's "Lift and Sift" Screening Method is proven for removing sharp coral, oil contamination, trash, cigarette filters and more. The "Lift and Sift" screening method not only removes unwanted material and debris, but also greatly reduces bacteria growth by exposing the sand to the sun's purifying rays. 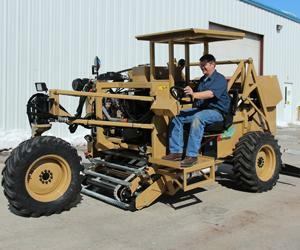 Cherrington Introduces the New Model 5500 Beach Cleaner! 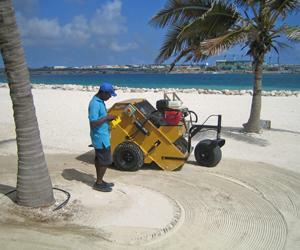 Cherrington once again takes beach cleaning to a new level with the new Model 5500 Beach Cleaner! Cherrington has combined the proven Lift and Screen Method of beach cleaning with state of the art technology and an innovative design to bring you the new Model 5500 Beach Cleaner! Are Rocks "Growing" in Your Horse Arena? 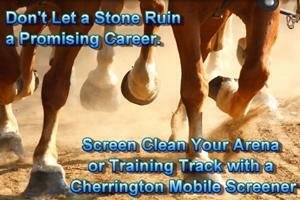 Cherrington Mobile Screeners are the ideal solution for removing rocks and other unwanted material from your riding arena or training track. Cherrington Lifts and Screens the cushion, removing everything larger than the selected screen hole size and return the sand/soil immediately back to the surface. Watch this video for more information on the compact Cherrington Model 440 Mobile Screener Series used in this application. Also available in larger models. Award winning television series, 21st Century Business, will be featuring Cherrington Beach Cleaners on FOX BUSINESS Saturday June 23 at 4:30 EST (check local listings) SEE FULL INTERVIEW HERE! 21st Century Business airs on CNBC and the Fox Business Network to over 100 million viewers nationwide as well as internationally via DirecTV and Dish Network.